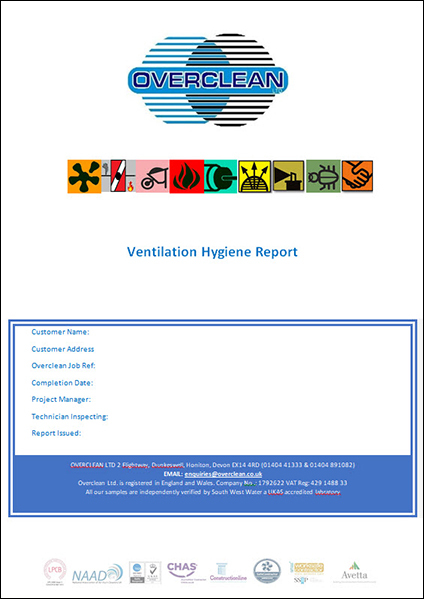 Majority of buildings in the UK have ventilation systems, be it an office, retail store, hospital or education facilities. It comes in all shapes and sizes and much of it is hidden from view. Without an established maintenance routine, the systems will accumulate dust and debris, pathogens, vermin and over a period of time a significant build up can occur. This will cause the system to inefficient and unhealthy. 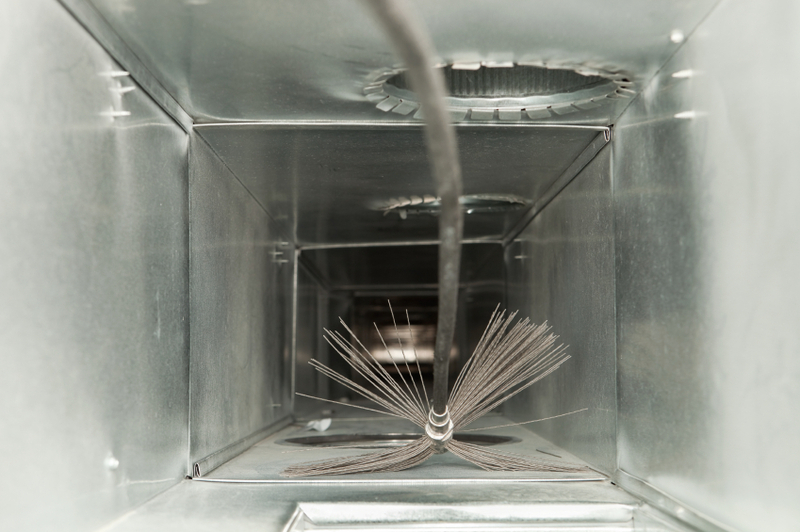 To ensure best practice and a healthy environment, there are several regulations, standards and guidelines on maintaining and cleaning ductwork. Under current standards clients’ air conditioning should be maintained to the new British Standards, failure to do so would leave them open to litigation from anyone claiming their respiratory problems were made worse by the air conditioning. By inspecting and taking action to the relevant British Standards you will prevent problems caused by the air conditioning. Overclean provide each project with specific method statements and risk assessments to ensure that your project is bespoke and completed to the highest standard. 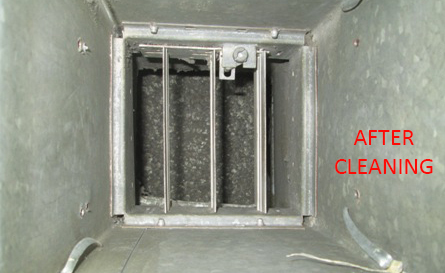 Entry points in the form of access panels are required to enter the ductwork. The intervals for entry are specified in EN15780. BESA DW/144 and in BESA TR19. Our fully trained technicians can fit access panels with the minimum of disruption to yourselves. 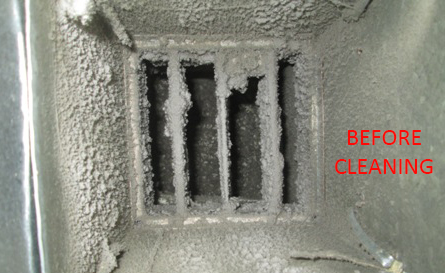 Once entry to the ductwork has been achieved various methods of ductwork cleaning are employed depending on the type of building, ductwork and contamination. Before cleaning commences sampling is carried out for the level of dust contamination (NADCAs) and microbiocidal growth (DIFCOs) and photographs, for a comparison after the project is completed. Overclean’s preferred method is rotary brush cleaning in conjunction with an air mover. Other methods such as wanding, manual hand cleaning and air whipping can be employed if necessary. The equipment used has been designed specifically for ductwork cleaning by our own CEO, Peter Reid and this equipment is sold worldwide. Once the systems have been cleaned and disinfected, we carry out testing in the form of NADCAs and DIFCOs. All our sampling is compliant with EN15780 and TR19 and is verified by an Independent UKAS Laboratory; South West Water. The following is a quick check of compliance chart to ensure clients are aware of their responsibilities. Low: Rooms with only intermediate occupancy. e.g. storage and technical rooms. Medium: Office, Hotels, Restaurants, Schools Theatres, Residential Homes, Shopping Areas, Exhibition and Sports Halls, General areas in Hospitals and General working areas in Industries. High: Laboratories, Treatment Areas in Hospitals and High-Quality Offices. 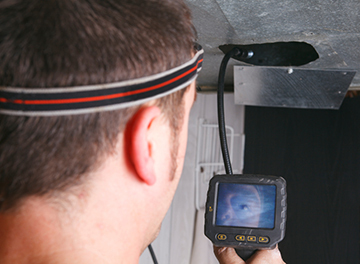 By inspecting and taking action to the relevant British Standards you will prevent problems caused by the air conditioning/ventilation system. At the end of each project Overclean produce for you a full report containing sampling results, photographic evidence, advisory notes, our recommendations for future maintenance and remedial costs.